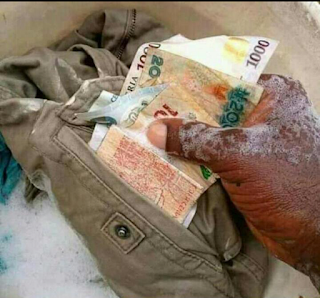 If You See This When Washing, How Do You Usually Feel? Sometimes when I wash and I see cash, that moment when I am probably broke, I usually see it as a miracle...lol. how do you usually feel?